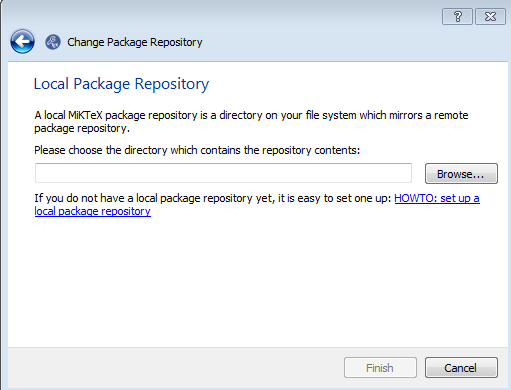 I am unable to connect to the package repository server using MiKTeX due to a proxy error. 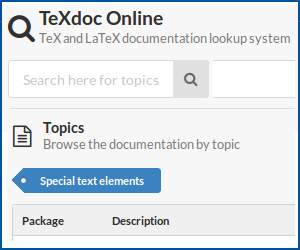 How would I go about installing a package from a local repository? I am trying to install the package beamer. Where do I actually find the file to download? Put whatever you want to install e.g. in some empty folder (outside miktex). Put them also in the folder. Then you can use the folder as local repository. pr.ini, files.csv.lzma, miktex-zzdb1-2.9.tar.lzma, miktex-zzdb2-2.9.tar.lzma and miktex-zzdb3-2.9.tar.lzma. Not the answer you're looking for? 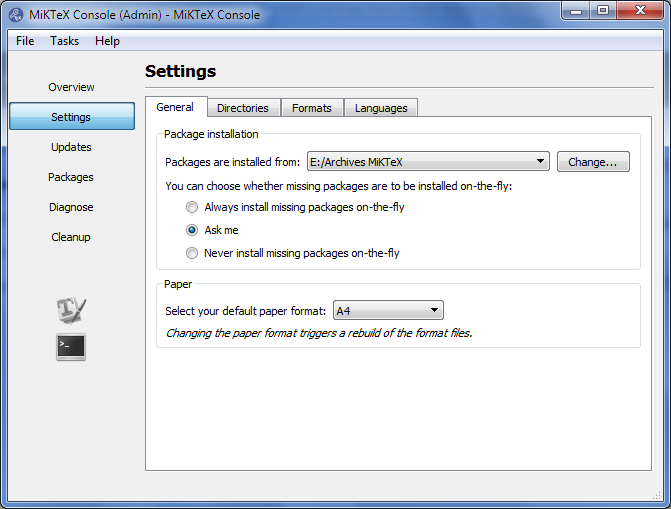 Browse other questions tagged beamer packages miktex repositories or ask your own question.